Experience Years of translation experience: 25. Registered at ProZ.com: Oct 2005. Became a member: Dec 2006. 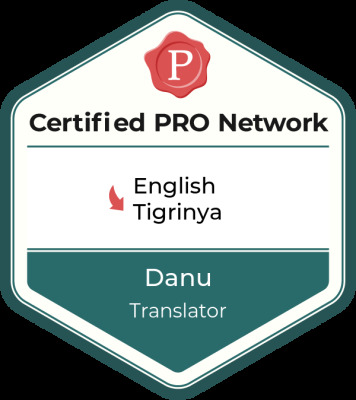 Professional practices Danu endorses ProZ.com's Professional Guidelines. I can translate various texts at fair price and with quality and fluent translation service. I give faster translation services at your own time. Price of my translation service is quite attractive and low comparing to the offer of agencies.